Ever since journalist Tom Mueller broke the story about how more than 70% of the extra-virgin olive oil sold in the world is fake (cut with cheaper oils), olive oil lovers all over the world have been scrambling to find authentic, 100% real olive oil. 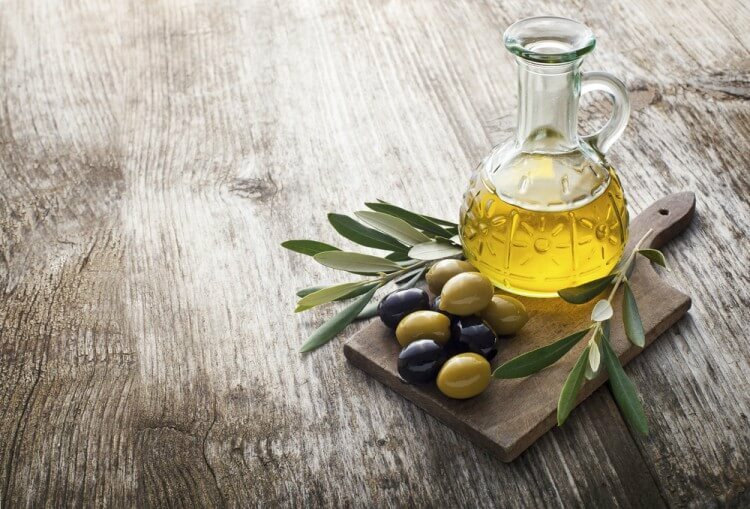 Australian's are the largest consumers of extra virgin olive oil outside of the Mediterranean. Australian Olive Oil business is $300 million+ a year. It is also an unregulated industry, making it a very slippery trade. 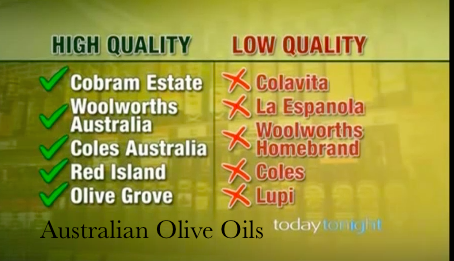 When you have the third largest and one of the fastest growing markets in the world, and no-one is checking olive oil quality, it is an open invitation to fraud. There are high-tech frauds in which reputable companies use low temperature refining processes to take very ordinary olive oil with flavour flaws and bad smells - and produce a very bland and very ordinary deodorised oil which is then sold as "extra-virgin." There are "legal frauds." Companies use misleading or disruptive advertising to sell something as "special" when it is just very ordinary. It is so easy to fool consumers! Especially in the Australian and American market where very few people actually know what good olive oil taste like! Olives are stone fruits, like cherries and plums. So real extra virgin olive oil is fresh-squeezed fruit juice – seasonal, perishable, and never better than the first few weeks it was made. Don't let olive oil sit in your pantry for ages. They change the use- by-dates. “We erased the old text with acid tone, re-printed to them on the side of the glass with a laser printer that we had set up for the bottled line." Factory worker at the Australian company, Big Olive, revealing that the retail olive oil they was being sold was up to 3 years out of date. Most dodgy olive oil comes from overseas, mainly the Mediterranean. Australian brands are also dodgy such as The Big Olive, Oz Oilio, Coorgon (SA region) and Bene Vita. Even "GC Extra Virgin Olive Oil" from Crete, Greece (produced by Master Chef George Calombaris) was taken off the market (to my knowledge as I cannot find it anymore) due to an investigation that it was sadly pretty old and not even extra virgin. The Taste test is ok for experts that are really in-tune, however this is still unreliable as majority of people simply cannot taste the difference. Even self-proclaimed taste-testing experts have been shown to be miserable failures. Taste Tip: Bitterness and pungency are usually indicators of an oil’s healthfulness. Sweetness and butteriness are often not. Like all food, it is always best to get to know your farmer. Go to farmers markets and talk to them. Build trust and you are set. Where (exactly) on the planet they made it. Artisan and locally-produced olive oils (the variety you can find from small family farms) are a good choice as they probably have passed every scientific test of authenticity. So, buy locally. Studies showed that domestic olive oil from single producers or small co-ops of growers was always real. This is safe because olive oil adulteration can happen with the middle men — the people who buy olive oil in bulk from individual farmers and collect it in bulk to sell to corporate buyers. You want small farms who grow it - pack it straight into the bottle for retail sale. (Note big farms and companies can still grow - adulterate - pack for retail all on their own site). California Olive Ranch – grown in super high density groves in northern California. Available at a wide range of stores throughout the US. Note that their Limited Reserve is the highest-quality oil, unfiltered and from olives picked during the first 2 weeks of harvest. Cobram Estate – extra virgin olive oil from a range of cultivators, grown in Australia. Also available in USA and Canada. Corto Olive – good, fresh super-high-density arbequina oil available at Costco. Costco Kirkland Toscano – Kirkland is the Costco store brand. Kirkland Organic EVO is not good, but the Toscano signature oil is the real deal. Di-Lusso Estate - Located in NSW Mudgee, Australia, this is my local supplier. I know the farmer, the owner, the quality is awesome! This cold-pressed, extra virgin organic olive oil has high nutrient value, high anti-oxidant effect and is used in Vital Veda Baby Massage Oil. Fandango - Californian Extra-virgin that comes of the trees and goes straight to the mill for pressing. This ensures no rancidity. - (picked by Dylan Smith). Lucini – Widely available across North America. Lucini Premium Select is their finest oil, made on a a single estate near Bolgheri, in the Maremma region of Tuscany. Trader Joe’s – 3 out of the 6 extra virgin oils are the real deal. One of these, the Premium 100% Greek Kalamata, was very fresh, spicy, complex at an extremely competitive price (1 liter for $8.99). Whole Foods California 365 – The Whole Foods store brand from California is good-quality extra virgin olive oil. The other members of the 365 lineup are poor. It is best for Australians to buy locally and get Australian certified. Australian standard are now being raised to better quality. Choose olive oil in a dark glass bottle so it doesn't get damaged by light. Eat it quick. Don't let it sit on your shelf for long. - 3 months max. Ensure it is organic, cold-pressed and extra-virgin. Ensure it is not "light" - (good) fats are not bad, they are good. Always close lid tightly after using. Oxygen + oil = rancid oil (highly toxic). Smoke Point of EVO: 190 degrees C (375 F) - Do not heat above this temperature.